The University of Hertfordshire is an ambitious and entrepreneurial University with an international vision, putting students at the heart of what we do. A key aspect of the University’s mission is to prepare students for the global economy and to enhance international and multicultural understanding within the University and beyond. In support of this mission, the University of Hertfordshire will offer 100 achievement-based partial international scholarships, worth £2,000 each, to international students taking up a place in 2010/11. These scholarships, known as the Chancellor’s International Scholarships, are designed to support our international community and to ensure that the University continues to attract the most talented students from across the world. All new full-time overseas fee paying international students with an offer of a place on an undergraduate or postgraduate programme for 2010/11 entry will be eligible to apply for the scholarships, which will be payable in the form of a £2,000 reduction against the first year’s tuition fees. This scholarship is for new students only; students who are already studying on a degree programme at the University cannot apply for this scholarship. The Chancellor’s International Scholarships will be awarded on a competitive basis to candidates who demonstrate outstanding academic achievement and potential and the ability to make a significant ongoing contribution to the university community. For full details of terms and conditions, award criteria, application guidelines and a downloadable application form, please see the source links below. The scholarship application deadline for students joining the University in January 2011 is 19 November 2010. Which courses do the Chancellor’s International Scholarships apply to? All University of Hertfordshire full-time undergraduate degree and postgraduate taught masters programmes taught full-time on the university’s Hatfield and St Albans campuses (this excludes all PhD courses and degrees in dietetics and preparatory courses e.g. 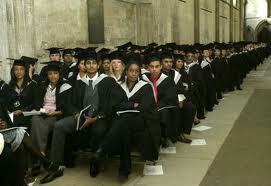 foundation, bridging or pre-masters programmes). Applicants who have been assessed as “overseas” for fees purposes and who have been issued with an offer to study at the University of Hertfordshire. Candidates will be assessed on a competitive basis against the scholarship award criteria. There is no guarantee that students who meet the minimum requirements set out in the criteria will be successful in the overall competition. Before taking up a scholarship, candidates will be required to have paid a tuition fee deposit for entry in January 2011, OR to have provided evidence of sponsorship. How much are the Chancellor’s International Scholarships worth? Each scholarship is worth £2,000, payable for the first year of study only. You must also send copies of your academic transcripts and evidence of your English Language qualification, even if you have already provided these with your original application. Please attach translations of your supporting documents if they are in any other language than English. We will be unable to process your application if we do not receive the requested documents. What should I write in the supporting statement? How will my scholarship be paid to me? This payment schedule below applies to September 2010 entry only. Scholarships will be payable on enrolment through a fee deduction of £2,000 from the overseas tuition fee (please see the examples below). The Chancellor’s International Scholarship can be held in addition to either the Family or UH Graduate Scholarship and, if paying in full at registration, the £500 reduction for early payment. If you choose to pay your tuition fee balance in two installments, the £2,000 scholarship will be deducted from your tuition fee payments in two stages. * Chancellor’s International Scholarships will be awarded for the first year only of the degree programme. Who decides and how will I find out the result? The final decision will be made by a panel of University staff. Applicants will be notified of the result of their scholarship application during the week commencing 3 December 2010. All decisions made by the panel are final. What do I do if I choose to defer my entry after I have been awarded a scholarship? The scholarship is valid for January 2011 entry only. You must re-submit your application if you choose to defer to September 2011 or if you change your programme of study. What happens if I am currently studying and have not yet completed my qualifications? Your scholarship application will be considered on the basis of your qualifications to date. If you are considered eligible, the scholarship will be provisionally awarded and you will be notified in writing of the grades you must continue to achieve. Please note that the academic conditions set for the scholarship may differ to those notified to you in your original conditional offer. The award will not be finalised until you have met the scholarship conditions in full. Applicants who do not meet the conditions of their offer of a place, or of their offer of a scholarship will forfeit the award. What happens if I am being sponsored? You will need to send us a letter confirming who will be paying your tuition fees. If you are awarded a scholarship and you or your sponsor have paid your tuition fees in full, any monies owed to your sponsor will be refunded direct to your sponsor. Demikianlah informasi mengenai Chancellor’s International Scholarships by University of Hertfordshire semoga berguna bagi anda.